The RSPCA is the target of a concerted campaign by state farmer organisations and vested interest commentators to discredit it and possibly diminish its role in overseeing animal welfare on farms. The campaign centers on these organisations’ and individuals’ resentment of the strong stand taken by the RSPCA against live cattle and sheep exports because prevention of animal cruelty cannot be guaranteed. The key tactic being used in the campaign is to make unsubstantiated claims that the RSPCA has deviated from its principal role as an overseeing agency to prevent animal cruelty in Australia and in doing so has become an animal rights organisation, intent on the demise of livestock farming because it wants a ban on live animal exports. By doing this, the campaigners hope that the organisation loses its animal welfare role in agriculture and is confined to overseeing domestic pets only. If successful, it would mean the RSPCA’s views on animal welfare in agriculture and in the live export sector would be less relevant and it could be excluded from playing a role in future industry developments. This is an attack method commonly used to divide public opinion to the point where a silent majority (in this case farmers) are reluctant to speak up on a topic (live exports), because the proponents contend if you are not with us (that is supporting live exports) you are against us (that is siding with animal rights people who are anti live exports and many are even anti livestock farming). 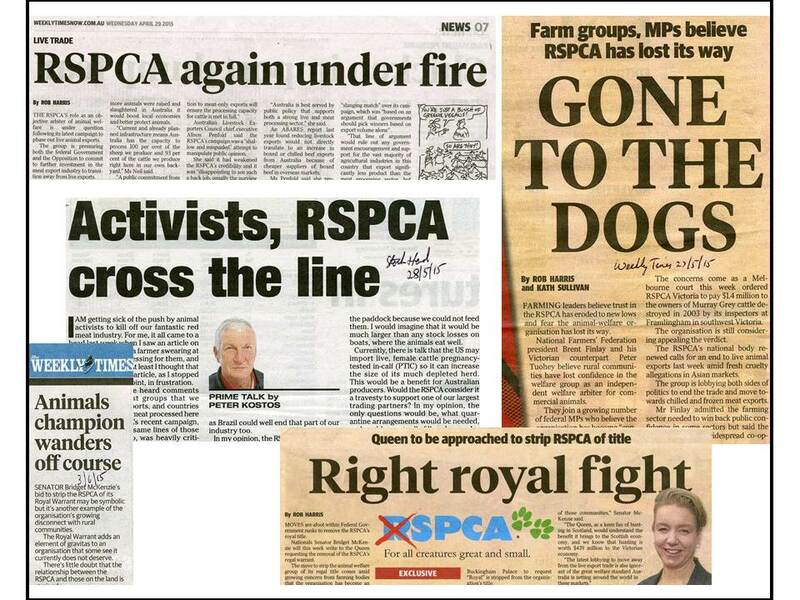 Figure 1: In April and May 2015 the RSPCA was often attacked in the media, interviews and briefings for its opposition to live exports, a policy which it has had in place since the 1980’s. On live exports RSPCA policy introduced in the 1980’s is that live exports should not happen, so it is a well known and long held position. But given live exports are continuing, RSPCA argues they should only happen where destination countries have the following in place, namely lot feeding, transport and abattoir businesses where animal cruelty is guaranteed not to happen. It also argues that processing in Australia is the best way of delivering value to the Australian beef and sheep industries as most of the value-adding happens here using businesses (usually regional) which engage an Australian workforce and local service contractors for feedlot and abattoir capital improvement, maintenance, transport and logistics. The biased, anti RSPCA campaign will eventually backfire on its proponents if it continues as it has this year. That’s because past experience in agriculture demonstrates that self-oversight or self-regulation in the commercial sector usually comes unstuck in the quest for more profit. One example is the mounting farmer criticism of processor company staff undertaking MSA carcase grading. Another is the Export Supply Chain Assurance System’s (ESCAS) self- reporting of non-compliances by live export companies which is said to be working well, but the industry is regularly being challenged by animal cruelty events which are only exposed by animal rights groups. (As I write a new cruelty event has been exposed by Animals Australia on Australian cattle in Israel). There is another more pressing reason why excluding RSPCA from a role in live export debate is counter-productive. Each animal cruelty revelation galvanises concerned consumers dissatisfaction with the red meat sector and is likely to be indirectly contributing to declining per capita beef and sheep meat consumption. 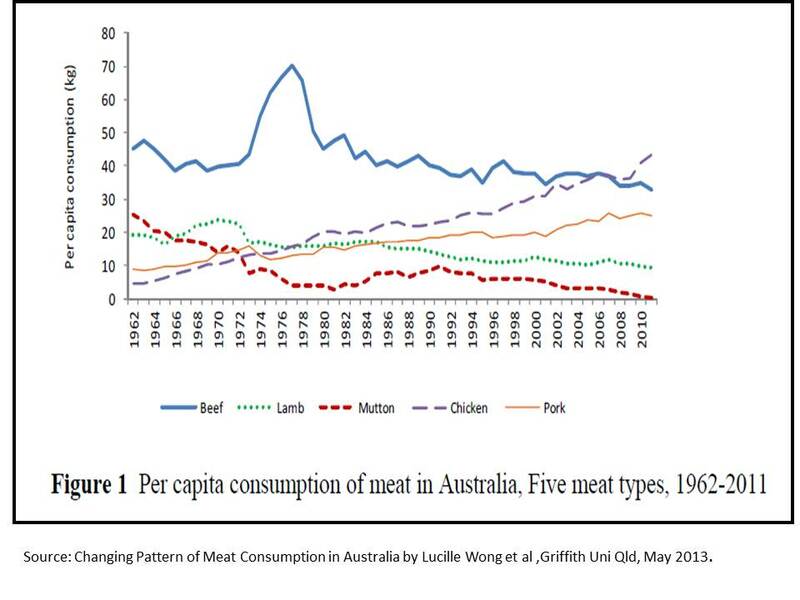 In the review “Changing Pattern of Meat Consumption in Australia”, Lucille Wong, Griffith University, Queensland demonstrates how beef and sheep meat consumption per person has declined since the 1970’s while chicken and pork consumption per person has increased, figure 2. Figure 2: Per capita meat from Australia’s two intensive livestock production systems, broiler chickens and pigs is increasing, while from its extensive industries, consumption is declining. RSPCA is involved with the intensive industries with its “Approved Farming Scheme”. Significantly chicken consumption overtook beef consumption in 2006 and pork may do the same in the next three years. While Wong contributes the changing pattern to the significant difference in price between the red and white meats, there are other factors involved and incidents associated with animal cruelty in the live trade is damaging for the entire industry. 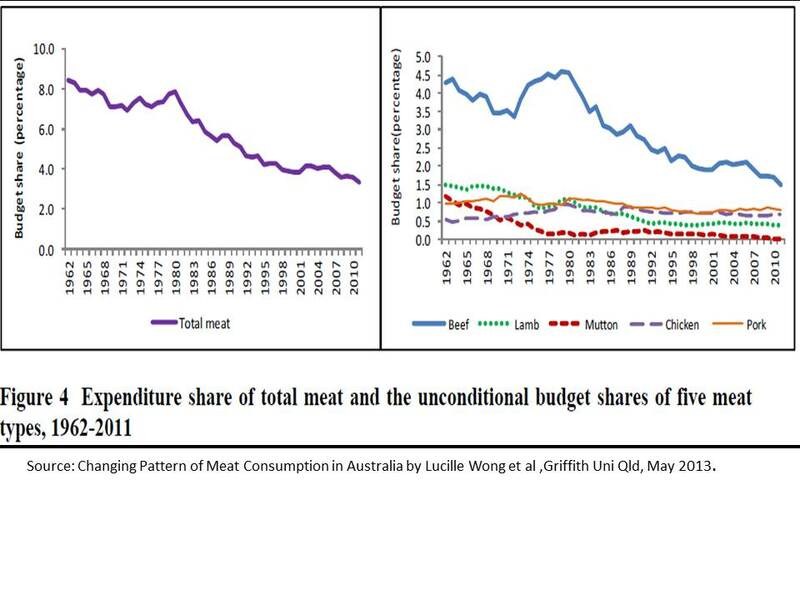 This is clearly evident in Wong’s analysis which shows “For meat as a whole, the allocation of income has more than halved from 8.5% in 1962 to 3.7% in 2011, figure 3. Over the years, the consumer’s income allocation on beef has fallen from 4.3% in 1962 to 1.5% in 2011, on lamb has fallen from 1.5% to 0.4%, mutton from 1.2% to 0.01%, pork from 1.0% to 0.8% and chicken has increased from 0.5% to 0.7%.” These trends suggest that any situations which provide negative press for livestock are going to encourage consumers to spend less on meats in total and if its associated with sheep and cattle, spend less on red meats. Figure 3: Consumers are spending less of their weekly budgets on meats, particularly red meats so bad press from the live export industry is likely to further reduce spending. In contrast to the prevailing view that the RSPCA is a threat to livestock farming and live exports, an enlightened industry would embrace the organisation and its expertise in livestock welfare and work with it to meet higher standards as required and gain credibility amongst the public at large. 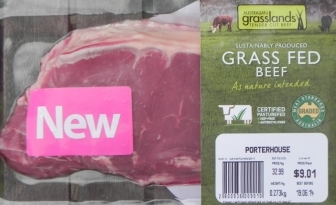 The good will it would generate amongst consumers, many of whom have a long held respects for the organisation’s work, will help increase red meat consumption and improve profitability along the demand chain. Any demand chain players who cannot keep up with RSPCA standards would not be a loss to the industry, as such businesses only drag the industry into disrepute. It is ironic that the RSPCA has an “Approved Farming Scheme” working successfully in conjunction with the nation’s most welfare vulnerable livestock, intensively grown pigs, turkeys, layer hens and broiler chickens, yet is ignored and considered irrelevant by the live export sector. According to the RSPCA it “…works with 20 different producers (who between them own or contract almost 200 separate farms), resulting in 15 brands selling more than 180 RSPCA Approved product lines in almost 2,000 stores nationally”. 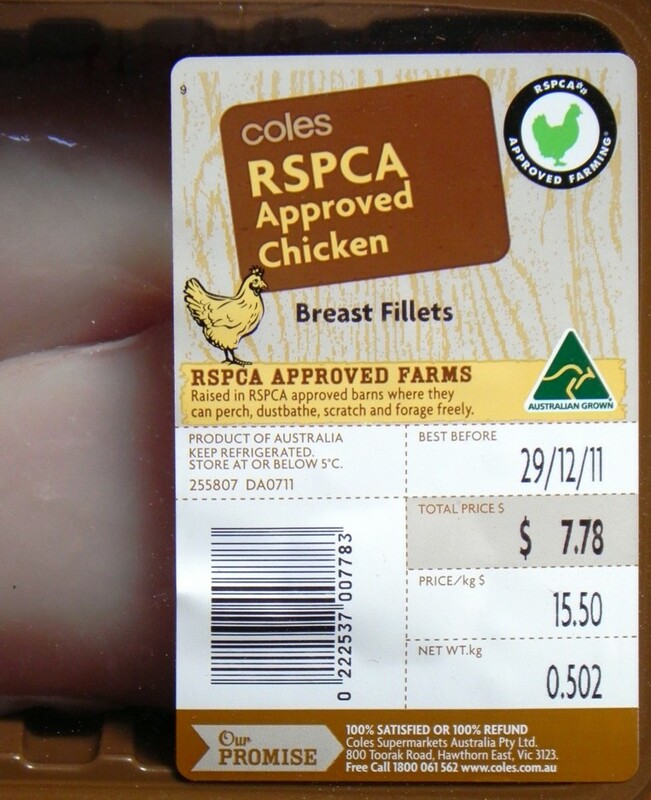 Consumers in turn value this certification and pay a premium for RSPCA approved meats and eggs and their consumption per person is increasing. The RSPCA does not cover sheep, beef cattle and dairy cattle in its Approved Farm Scheme because being such extensive industries it says it doesn’t have the resources to offer certification/approval to these farmers. However, until such time as beef cattle can be included in the Approved Farming Scheme it has produced the “Better beef cattle welfare: Our Vision” document for farmers to use. The principles underpinning this vision are based on the “Five Freedoms” which are acknowledged world wide as the basis for animal welfare. It has not as yet produced an “Our Vision” document for sheep farmers. 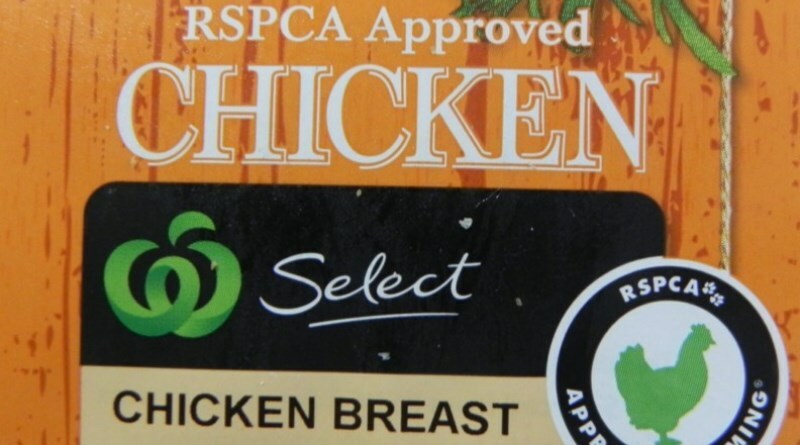 Figure 4: It’s ironic that outside of the sheep and cattle sectors, RSPCA is highly respected and major food retailers and farmers actively seek its “Approved Farming Scheme” product endorsement. Photo: Patrick Francis. In the most recent case of live export cattle cruelty, the sledge hammering to death of cattle in a Vietnam abattoir, the RSPCA with Animals Australia made representation to the government about what decisions should be taken to rectify the situation. Its six point plan, which is in addition to the industry’s six point plan, shows the organisation has an important contribution to make for better animal welfare outcomes as well as profitability outcomes. It is interesting to compare the livestock exporters’ six additional welfare standards for Vietnam with the RSPCA/Animals Australia’s six additional standards. The exporters ideas are about processes and standards which have potential to improve animal welfare outcomes in feedlots and abattoirs, but in many cases if not introduced, the business would receive a non-compliance notice and be asked to fix the problem. In contrast, the RSPCA/Animals Australia ideas focus almost entirely on practices being introduced into feedlots and abattoirs which prevent animal cruelty happening. Their suggestions are positive and valuable for achieving a transparent, cruelty free trade in Vietnam despite the RSPCA’s more general view that Australian animals should be processed domestically and the meat exported. Both six point plans are legitimate and highlight the importance of co-operation to achieve acceptable and transparent livestock welfare outcomes, that all players in the value chain should find acceptable. In late May its seems the Australian Livestock Exporters Council (ALEC) may be starting to accept that organisations which have animal welfare as their priority have a role to play in its future. The Council agreed to meet with Animals Australia and RSPCA to discuss its six point plan for live cattle exports into Vietnam. As reported in Fairfax Media, the Australian Livestock Exporters Council CEO Alison Penfold said her organisation was keen to listen to what the two industry critics had to say about Vietnam and find areas of potential common ground. Penfold said this meeting was the first time she had formerly met with Animals Australia since starting at ALEC in February 2012. She also said only informal meetings had been held with RSPCA over the same three years. “There’s too much of an adversarial approach to these issues. We may not agree on every issue but I’m hoping we can find some common ground and a degree of co-operation which I believe exists. We may not find it straight away, and that common ground may not be reached necessarily today, but that’s my ambition. We can definitely take a less adversarial approach to resolving issues,” Penfold told Fairfax Media. Such a statement provides a small level of optimism, that the live export industry may begin accommodate some of the views and actions suggested by others to avoid animal cruelty. Penfold said after the meeting that the three organisations had a robust discussion and no doubt have agreed to disagree on some of the points suggested but may agree on others. Such outcomes have not been made public as yet. Despite this small breakthrough the flood gates of anti RSPCA rhetoric will be difficult to close. 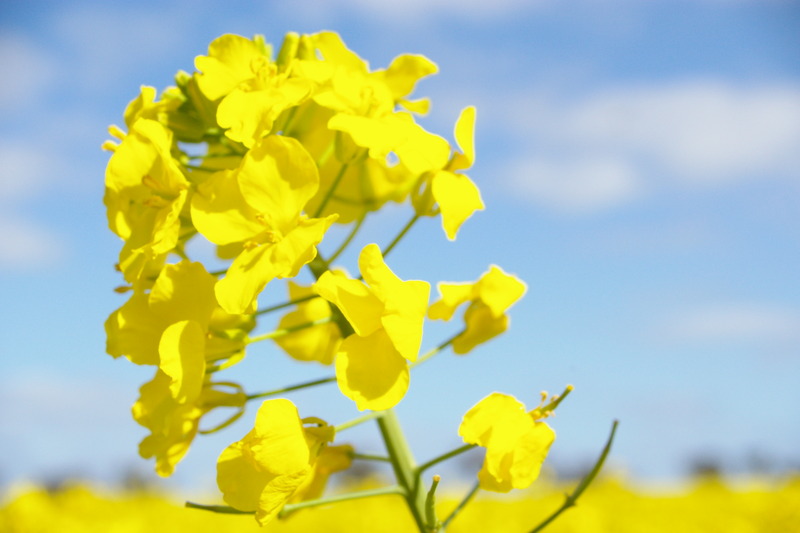 When the criticism comes from the likes of farmer agri-political organisations, politicians, and rural newspaper market analysts, most people would understand their agenda – usually to shore up support amongst farmers who feel threatened by other farmers who think differently about trade (for instance certified organic farmers) and by city consumers who are considered ignorant of the issues involved. This criticism perpetuates the “if you’re not with us you’re against us” mentality for their own advantage. But on live exports Keogh seems to be wedded to the mantra of vested interest commentators, who contend any organisation that doesn’t support the live trade is in effect anti-livestock farming. In May Keogh wrote an AFI briefing entitled “Divided attitudes to the welfare of pets and livestock”. Rather than providing a balanced analysis including the role RSPCA plays in the industry, Keogh only attacks the organisation’s “…online campaign calling for an end to livestock exports…”. He contends there are three major flaws with the RSPCA’s campaign and gives it no credit for having expertise in animal welfare, such as its Approved Farming Scheme. As for cattle processing, it’s true that the Top End in WA, NT and north western Qld do not have processing facilities, but that was self-fulfilling as the industry in northern Australia opted out of processing in favour of a commodity only business – live exports, in the 1990’s. But in 2013-14 the nation’s largest cattle producer AACo saw no profitable future participating in a commodity culture such as live exports and financed and built its own abattoir near Darwin to add value to stock by exporting boxed beef. 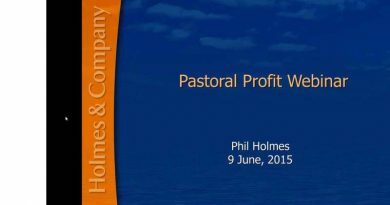 AACo is one of an increasing number of corporate and family cattle businesses who understand that selling commodities to other players in the chain, so that they can add value, is a recipe for financial failure. Ironically even Keogh agreed with this approach in an article in the May edition of Weekly Times Decision Ag. He said: “The challenge lies in positioning Australian agricultural exports as premium products, that have inherently superior quality, and which also incorporate high standards of food safety, biosecurity and environmental sustainability.” Live sheep and cattle exports are as far away from these objectives that you can get because the finished meat products are out of the hands of Australian farmers and businesses. Yet Keogh fails to mention this in his briefing attacking the RSPCA and gives the organisation no credit for suggesting it. An MLA review of northern beef production demonstrated that around 80% of family cattle businesses were economically unsustainable. Commenting on the review at Beef 2015 farm consultant Dr Phil Holmes said these farmers must understand the rules of the commodity game. “It can’t be differentiated much on price, you’ve got to get rid of your production when it is ready to go.” He went on to say that northern producers should “sell heavy” animals and never sell light young cattle. “That’s why the people in the live export trade are on a hiding to nothing – they are not producing enough kilograms.” This is an admission that the farmers producing live export cattle are producing an undifferentiated commodity for other players further along the value chain to take advantage of and to make a profit from. It is becoming increasingly apparent that live exports of finished and feeder cattle into new markets like Vietnam, Thailand and Russia end up becoming chilled beef in Australia’s existing markets; that is, it becomes a competitor to beef processed in Australia. (Read more about where Australian beef in Vietnam is heading in “ESCAS fails stunning for sheep” in the Fostering Debate section on this web site. Finally, Keogh’s uses a totally irrelevant argument against the RSPCA’s live export views when he points out the organisation puts down more domestic pets than animals dying on boats. “A great deal of the RSPCA’s resources in Australia are directed towards the management of lost, abandoned or injured domestic animals. According to annual statistics published by the RSPCA, in 2013–14 the organisation took care of 127,304 lost or abandoned animals, of which 36% were dogs, 39% were cats, and 25% were other animals. Of these, approximately 38,000 or 30% were in such poor condition that they had to be killed. “In 2014, by comparison, there were 389 shipments of livestock exported from Australia, involving a total of 3.56 million head of livestock. According to statistics compiled by the Department of Agriculture, there were a total of 17,805 mortalities during these voyages (a mortality rate of just 0.5%). “If the RSPCA believes that, as a consequence of the number of deaths that occur during shipment, livestock exports should be banned, then logic suggests that a proportionate response is also required in relation to pet ownership in Australia. A proportionate response based on the above data would be for the RSPCA to call for the ownership of domestic pets in Australia to be banned, or at the very least subject to much more stringent controls…” Keogh says. Not only is this a ridiculous line of argument in the live export debate and not one befitting a leading independent agricultural policy think tank, it also shows Keogh is not above manipulating the facts to support the AFI’s point of view. Data from the RSPCA website shows that in 2013-14 of the 127,304 animals the RSPCA cared for, 19,987 (15.7%) were wildlife and 3692 (2.9%) were livestock. 95,120 were lost or abandoned cats and dogs. Keogh then states “logic suggests that a proportionate response is also required in relation to pet ownership in Australia”. Pet ownership is estimated to be 33 million in Australia (RSPCA) and 9428 pet cats and dogs were euthnased in 2013-14 for reasons that may be related to “poor condition”. Assuming cats and dogs make up 90% of pets ( based on RSPCA presentations of horses, small pets, cats and dogs), 0.03% of pet cats and dogs were euthanased by the RSPCA because of “poor condition”, significantly less than the 0.5% live export animal mortality rate. The danger of the continuing attacks on the RSPCA over its stand against live exports is that the credibility of the entire Australian meat sheep and beef cattle sectors is slowly being diminished by continuing cruelty events on exported livestock in overseas facilities. The RSPCA is considered as a highly credible voice in the fight against animal cruelty, yet it is being marginalised and if possible squeezed out of a role in overseeing extensive livestock welfare. It is likely increasing numbers of consumers (many influenced through social media) interpret livestock cruelty exposed overseas as an affront to what they consider as descent behaviour and alter their meat purchase decisions as a consequence. The affront to consumers is probably accentuated by apparent “hiding” of cruelty events by the industry and that exposure only happens when animal activists become involved. By listening to and embracing the RSPCA the extensive livestock sector will regain lost credibility for animal welfare amongst wavering red meat consumers. The intensive livestock industries are demonstrating the effectiveness of this approach on consumer behaviour. Good balanced article by a farmer. If more thought this way, the world for animals would be a better place. I for one stopped eating meat after the 2011 expose on live export on 4 corners. This article is right in saying if Australia does not improve on animal welfare grounds during live export, then I believe more people will stop eating not just beef and lamb but white meats as well.